BAKKT BY ICE. The rumors are true. On Friday, Intercontinental Exchange (ICE), the parent company of the New York Stock Exchange (NYSE), announced plans to form Bakkt, a company focused on the development of a regulated platform where people can buy and sell cryptocurrencies. The goal appears to be helping crypto move from the fringes of society into the mainstream. “In bringing regulated, connected infrastructure together with institutional and consumer applications for digital assets, we aim to build confidence in the asset class on a global scale, consistent with our track record of bringing transparency and trust to previously unregulated markets,” said Jeffrey C. Sprecher, Founder, Chairman and CEO of ICE, in a press release. THE NITTY GRITTY. As for what this platform will look like and how it will work, details are still scarce, though the press release notes they should arrive in the next few weeks. What we do know is that the platform will start with bitcoin before presumably moving on to other cryptocurrencies. We also know that ICE isn’t jumping into this project solo. Microsoft will help build out the platform, and Starbucks is on board as well. “As the flagship retailer, Starbucks will play a pivotal role in developing practical, trusted, and regulated applications for consumers to convert their digital assets into U.S. dollars for use at Starbucks,” said Maria Smith, Starbuck’s vice president of partnerships and payments in the press release. COFFEE AND CRYPTO. 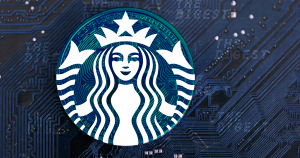 Starbucks serves millions of customers every day, so the company’s involvement with Bakkt has the potential to dramatically increase the number of people who actually spend crypto and don’t just view it as an investment opportunity. So, while the project is still in its nascent stage, just know the day you can use crypto to buy your morning cold brew is just on the horizon.